Affected characteristics are growth, distribution and functioning. Compaction increases pressure on cell walls which reduces root elongation speed and increases their diameter. The plant can respond by reducing the osmotic potential in the root. In this way, elongation is maintained if compaction is not too strong (Demissy and Farque, 1997). Apart from compaction, some researchers think that elongation reduction could also be the result of a chemical messenger synthesized in the roots (Tardieu, 1994). Root growth decrease makes the plant more sensitive to drought : the impact of a water deficit, even a superficial one is both quicker and stronger. Compaction also modifies the root respiratory system. Respiration is increased which means that more oxygen is required. Compaction reduces gas circulation in the soil at a moment where the roots need more oxygen to satisfy respiration increase (see above). This situation can lead to hypoxy problems. Access to water can be more difficult because the soil close to the roots tend to dry more quickly. The resistance to water transfer towards the roots gets stronger. But water uptake is essentially limited by the heterogeneous distribution of the roots in the soil. This, of course, has direct consequences on the absorption of nutrients such as nitrate-nitrogen which are soluble in water. Leaf expansion rate (LER) is reduced when the plant is grown on a compact soil (data on maize, Ben Haj Salah, 1996). This reduction doesn't seem to be the result of more ABA synthesis (stress hormone synthesized in the roots and brought up to the leaves). Another agent from the roots could be responsible but research results vary on this point. Water infiltration rate is partly influenced by soil structure. The more compact the soil, the slower the infiltration. 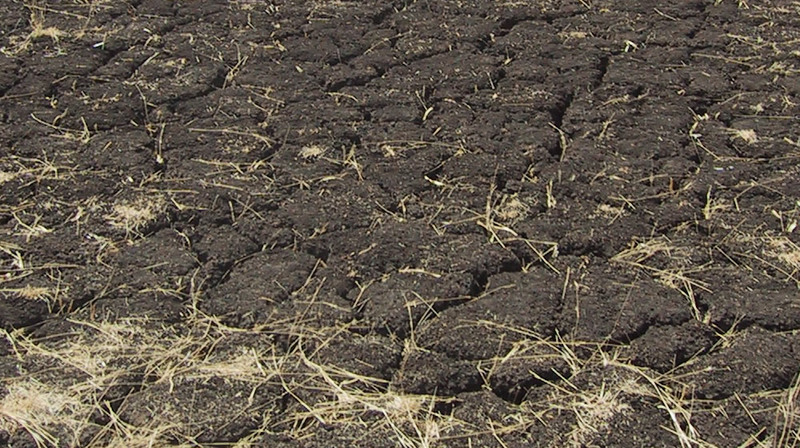 Thus, a destruction of soil structure leads to water losses by evaporation and possibly runoff.